Dean Moon started the company in the fifties from humble beginnings, but the name soon became synonymous with the American hot rod/ custom car scene, and today it is a worldwide business. Moon Discs were an instant success. In the late fifties they sold 10,000 in one month. 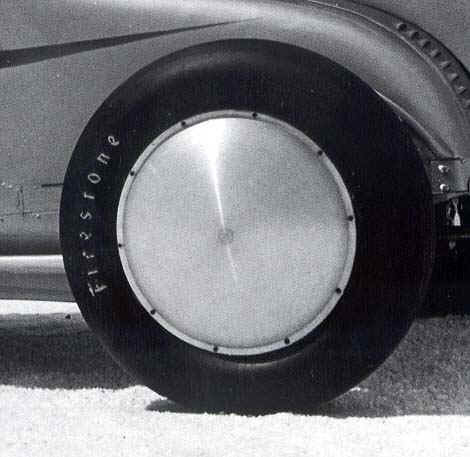 The discs are still used on custom cars today. 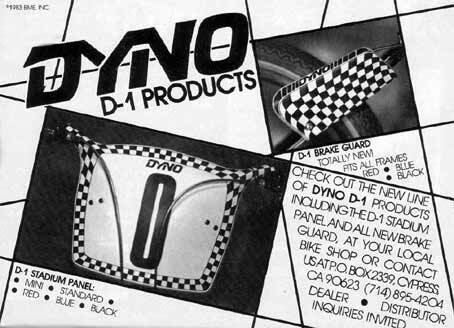 In 1999, Dyno produced 1000 of these Mooneyes Cruiser bicycles for Moon Equipment Co, to showcase their new 26″ Moon Discs for bicycles. As you can see, the Dyno/GT Mooneyes Cruiser is not my only machine to sport Moon Discs: you can see them, below, fitted to my modified 1966 VW Roadster. 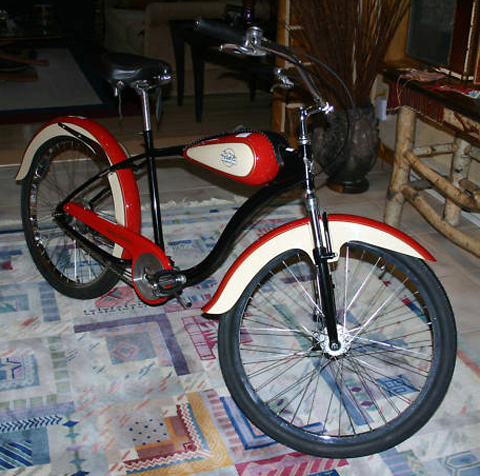 This is my newest machine so it’s ideal to end this museum display: in the photo above, this creation from the end of the 20th century hobnobs with a bicycle manufactured just as that century turned, a 1901 Ladies Royal Sunbeam.